From March to October the Ocoee River comes alive with whitewater enthusiasts from around the world who journey to shoot the world-class rapids in rafts, canoes, and kayaks. Outdoor adventure writer Kim Urquhart calls it “a paddler’s paradise …loved for its size and power, constant flow rate and continuous waves and holes”. The Class III and IV rapids that highlight this river begin just west of Ducktown, TN. 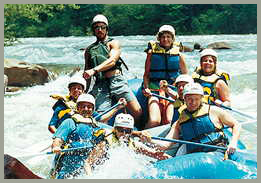 TheOcoee Whitewater Center is a federally operated put-in that is used by both commercial companies and individuals. In 2002 nearly 300,000 people made the journey from this site to the take-out more than 5 miles further down the river. Flowing out of Lake Blue Ridge as the Toccoa River, the name changes to Ocoee at the Tennessee border. In the early 1900’s the East Tennessee Power Company built two dams along the river to provide power to its customers. Alongside the river they also built a flume that would divert the river’s water. The flume began at Ocoee Dam # 2 and followed the course of today’s whitewater run. Water would plummet 250 feet down the flume over its 5 mile course and its power was formidable, but the Ocoee River was dry. One of the reasons for needing the dam was the relocation of Alcoa Aluminum to Blount County, Tennessee. The company needed tremendous amounts of power to make the alumininum. When the TVA acquired the Ocoee dams in the late 1930’s, engineers admired the unusual means by which the company produced power and duplicated the effort in another dam, Ocoee # 3. In 1976 the TVA closed the flume from #2 for safety concerns.It was at this point that outdoor enthusiasts discovered the Ocoee, and by the time the Tennessee Valley Authority wanted to reopen the flume, an industry had risen. To benefit the recreational users of the Ocoee, the TVA agreed to let the water run in the old riverbed every Saturday. 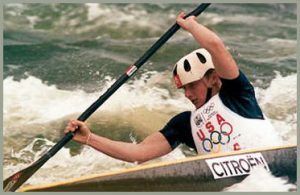 Today, this exciting course is know around the world thanks to 1996 Summer Olympics, which held a number of events on the river. Olympic Events were held on the upper Ocoee River. 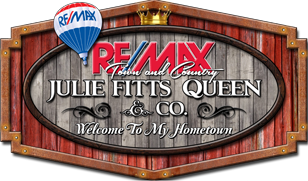 They ended near the Ocoee Whitewater Center, and this section is generally not open to the public. After the center is the Middle Ocoee, a five mile section of the river from the center just west of Ducktown to a remote take-out point in the Ocoee Gorge. In this five miles the river falls some 250 feet across some Class IV+ rapids. The Middle Ocoee River is significantly calmer than the Upper Ocoee, although there are some good drops. Under normal conditions there are no Class V rapids on the river, however, at times when waterflow is greater than normal, some of the Class IV rapids become Class V.